Hello! 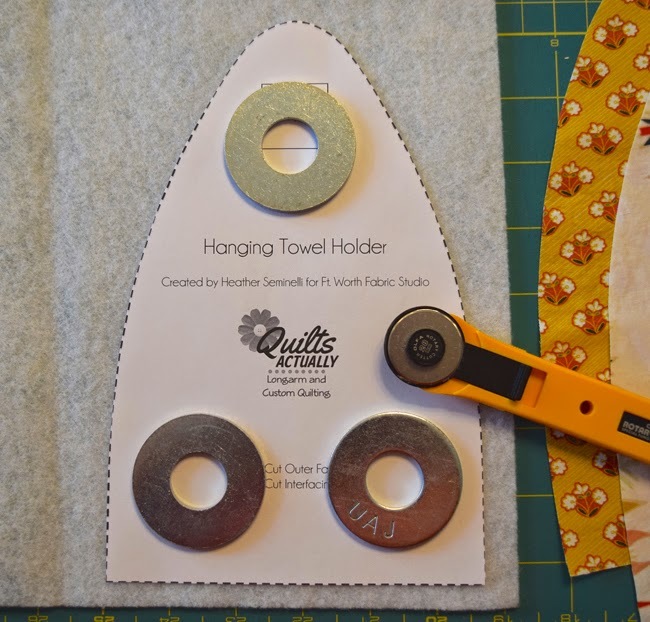 I'm Heather from Quilts Actually, and I will be sharing a tutorial to make a hanging towel for your oven handle. If your kitchen is anything like mine, the towels tend to migrate from around the room and it is nice to be able to always have at least one that isn't going anywhere. This project is a great way to use up your favorite scraps or to introduce the holidays into your kitchen by using seasonal fabric. It is also quick. You can complete this project in less than an hour! Equipment Required: Rotary cutter and mat, scissors, pins, pattern weights, iron and ironing board, chopstick (or other blunt object for turning), hand sewing needle, Sewing machine (with buttonhole feature), fabric pen or pencil, and thread. Download the pattern template HERE! 1 yard Moda Cotton Toweling, Natural (920-91) - enough to make three towels. 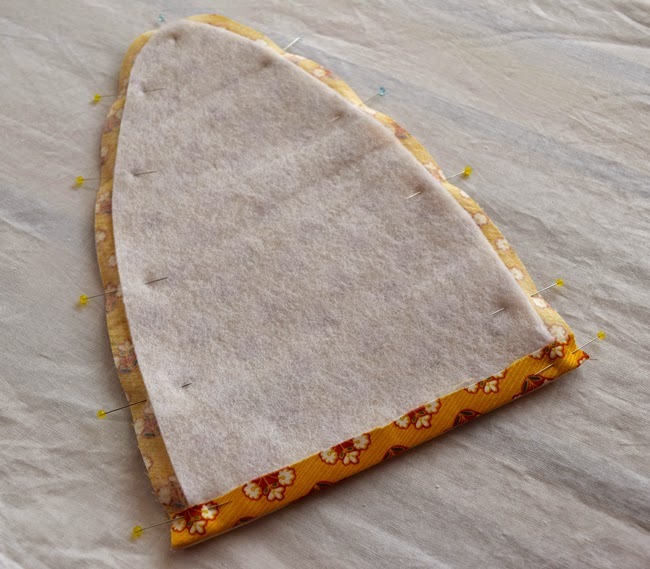 Outer fabric: For each towel, you will need 2 - 7"x10" pieces of coordinating fabric (fat eighths, fat quarters or leftovers from a layer cake are perfect). Wash fabric (toweling and outer fabric, do not wash interfacing). Cut outer fabric using solid line on pattern. Cut two. Cut interfacing using dashed line on pattern. Cut two. Interfacing note: I like the thickness and puffiness of the double layer of fusible fleece. 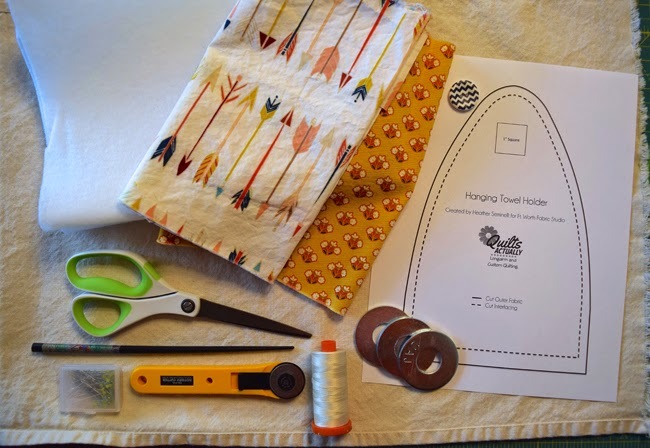 I have tried using one and two layers of the interfacing, and it looks a lot neater to use two layers because both sides of this hanger show. 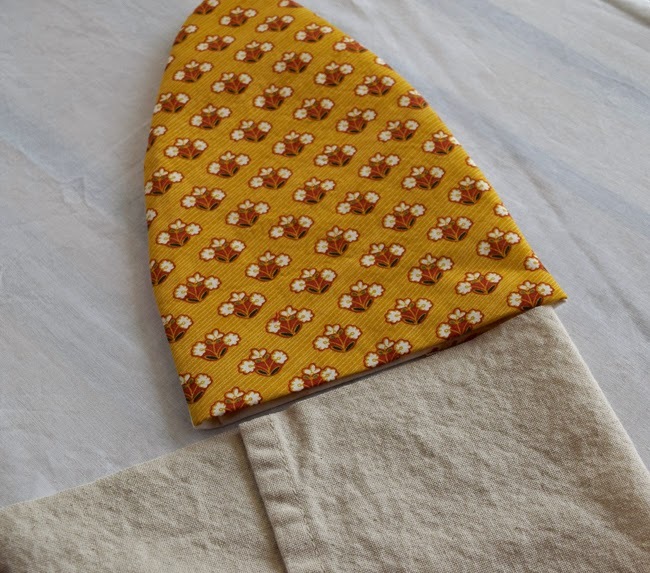 If you don't have fusible fleece, something like SF 101 (or any light-medium weight interfacing) would also work, but don't skip the interfacing altogether. 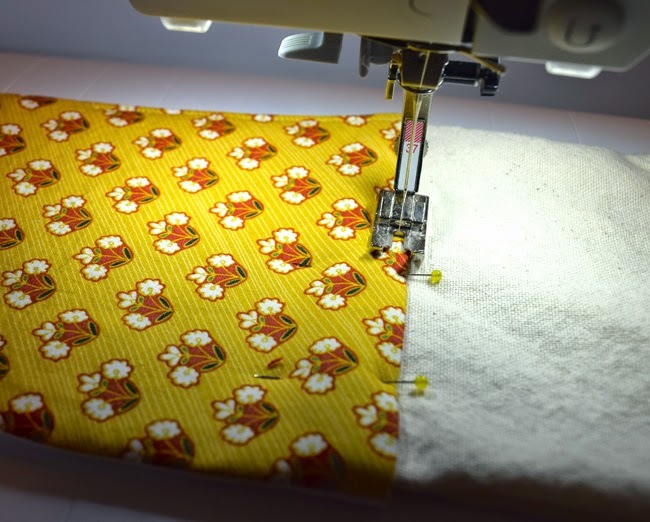 Most sewing machines need a layer of interfacing under the buttonhole area to do a quality buttonhole. Line the interfacing up so that there is ¼” of the outer fabric showing on the sides and top, and ½” on the bottom. 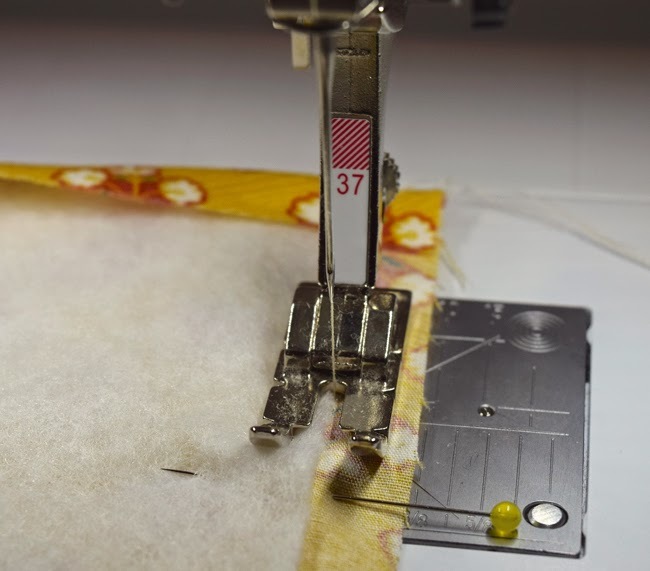 Fuse the interfacing to the wrong side of the outer fabric following the package instructions. 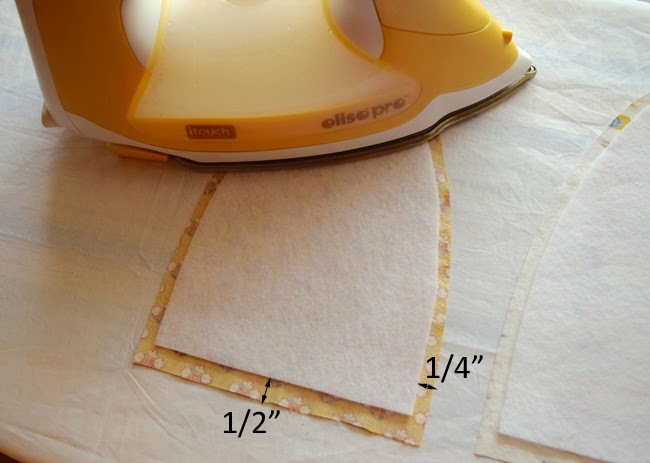 Make sure that the glue dots are facing away from your iron and toward the fabric you want to fuse it to. Iron the bottom edge up ½” along the interfacing edge. Pin the two outer pieces right sides together, and sew along the interfacing line. Be sure to backstitch at the beginning and end of this seam. Leave the bottom edge that you folded up open. Cut small notches almost to (but not through) the seam line. This will help the fabric lay flatter when you turn it. Turn right side out and press the piece. Use the chopstick to get the rounded edge completely turned. Cut toweling into 12" lengths. Hem the bottom edge of the towel by folding the edge up approximately 3/8” and ironing. Fold up again approximately 3/8” and iron. Pin this hem and sew. Backstitch at beginning and end of seam. Prepare to insert the towel into the hanger. Fold toweling into thirds and when you are happy with the size, insert approximately ½” into the hanger portion. 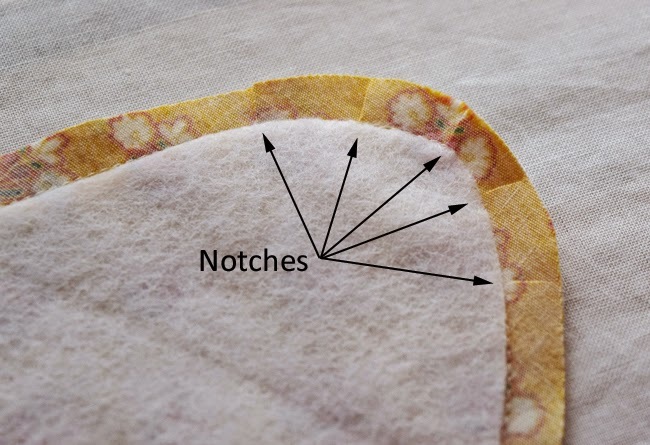 Pin in place and sew and edge stitch around the entire outline of the yellow portion approximately 1/8" from the edge. 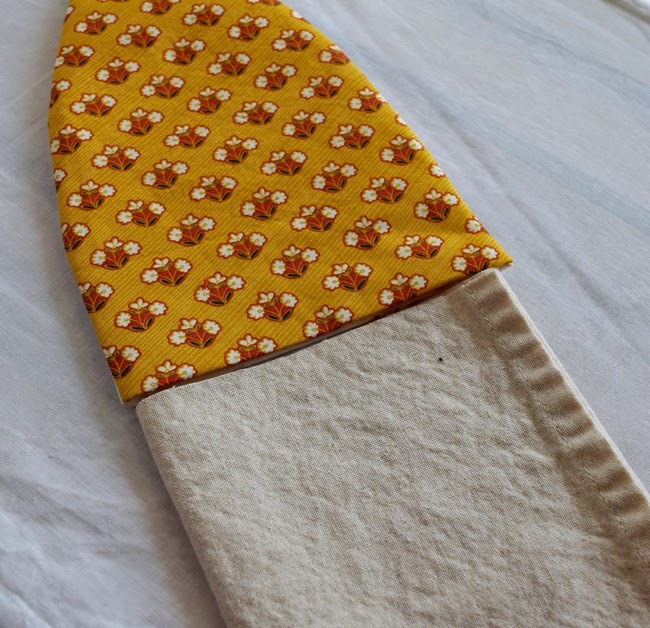 I recommend adding a second line of sewing within the first half-inch of the towel so that it is sturdier and will stand up to more use and washings. Mark the buttonhole along the center of the backside of the hanger. It should be 2 ¾” from the outer edge, but verify the center on your piece before marking. I started my buttonhole ¾” up from the bottom. The length of the buttonhole should be the diameter of the button plus 1/8” plus the thickness of the button. For these buttons, that would be 1 ¼”. My machine only does buttonholes up to about 1 1/8” and although it is a little tight, the 1” button fits through. Sew buttonhole as required by your machine. (Optional) Place fray check along the inside of the buttonhole, on both sides of fabric, before opening it. Open buttonhole. 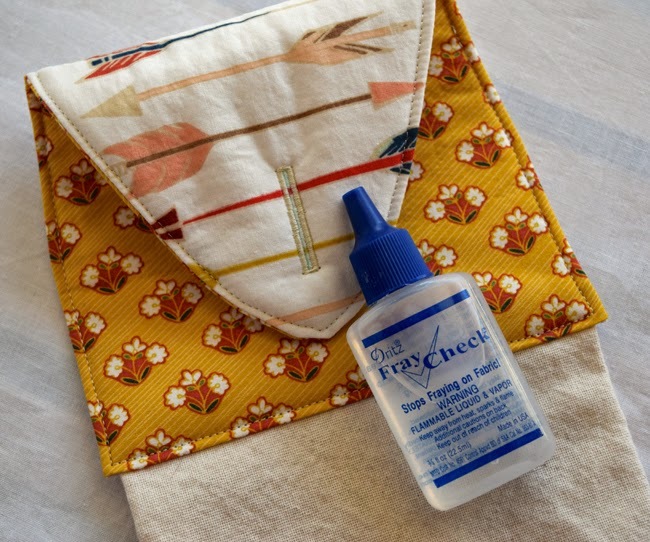 You can use a seam ripper or other method that you prefer. Mark placement of button. Using a 1” button, I placed the button along the center 1 ¾” up from the bottom. 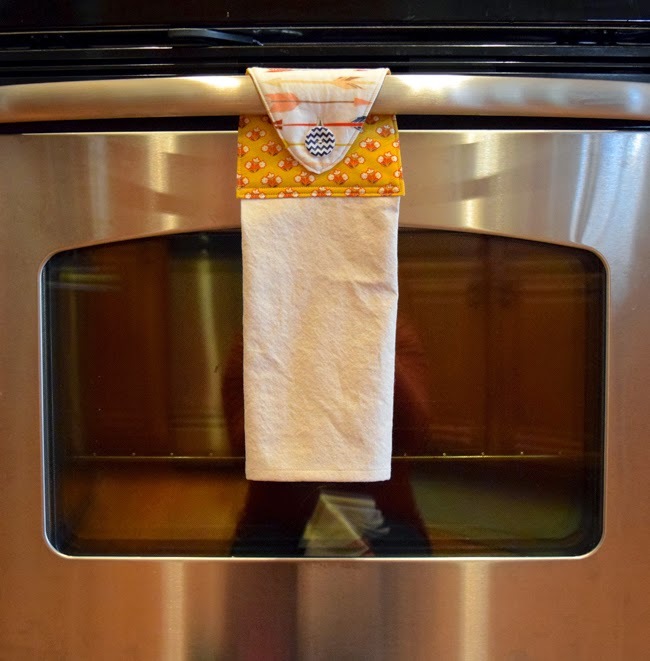 If you use a different sized button, take your hanger to your oven door and place it as you want it to hang. 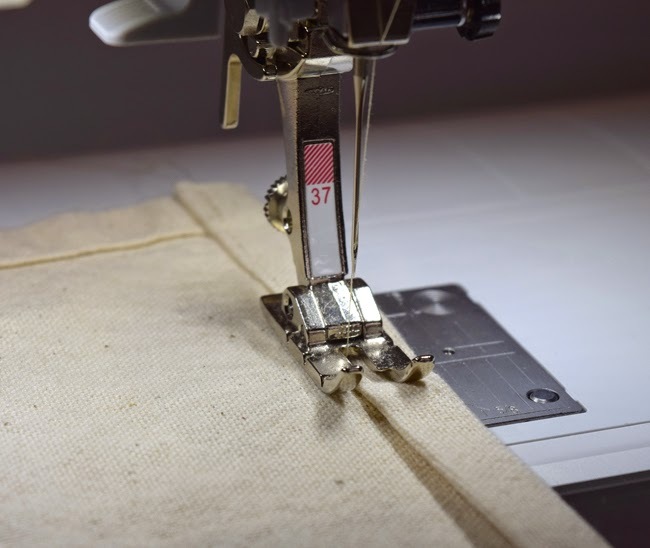 Place the tip of a marking pen or pencil through the center of the buttonhole and that will show you where to sew the button. Sew button on, and hang on your oven door to enjoy and use! I hope you enjoyed this quick and easy project! 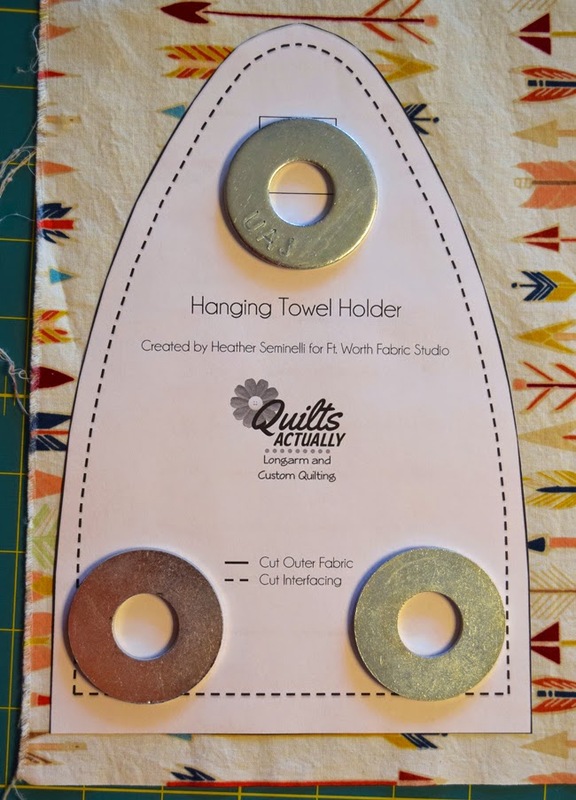 If you make a hanging towel holder, please share a photo with Lindsey at lindsey@fortworthfabricstudio.com or on Instagram using the hashtag #sewingwithfwfabricstudio. Excellent instructions, Heather, thank you! So cute! Great tutorial, thank you. Great tutorial,reads easily and very nice pictures making it easy for a beginner. Thank you. Great tutorial. 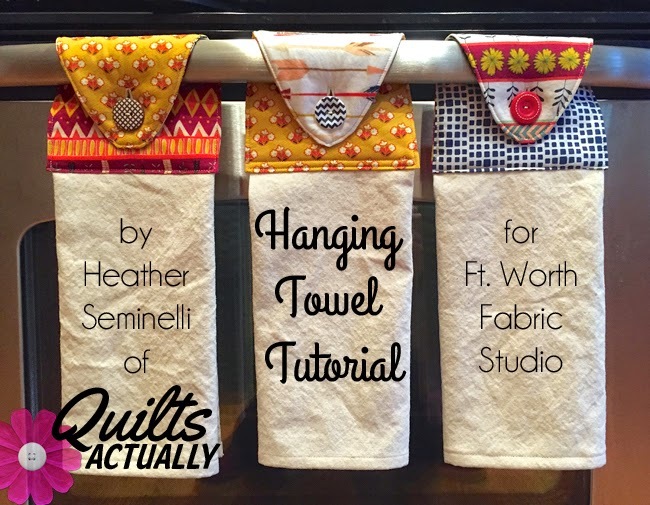 Now I know what to do for the toweling I ordered from Ft Worth Fabric Studio. Thank you so much for solving the problem for me!! Thanks for this great tutorial and pattern...appreciate it! Wonderful tutorial! I want to make some of these! This is a great tutorial ever! I've been searching about some DIY tutorials that I can do for my kitchen and bathroom towels. Actually, I'm planning to dye it to hide the stains and because their colors are already fading. Now, I'm thinking of new ways to make them more beautiful after dyeing them. Good thing, I found this article. It's really a great idea. THANK YOU for the link to the toweling..been wanting a source. I've already ordered! Perfect tutorial..easy. What a awesome turorial is it !!! I am preparing to make this as your instruction.Thank you so much. What a awesome tutorial is it !!! I am preparing to make this as your instruction.Thank you so much. Where can I find the full-size pattern for the top?